Hello, My name is Delora Pate. 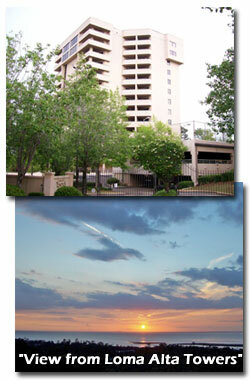 I am a REALTOR that specializes in the available Condos in Loma Alta Towers. If you are considering purchasing a Condo in Loma Alta Towers then please let me offer you my years of expertise in the real estate business to get you the right home for the right price. Whether you are looking to buy or sell a house, townhome, condo, land, farm, or commercial property on the Eastern Shore, or the surrounding areas, then you have come to the right website. Here you will find a wide array of information about local real estate for sale or lease. By working with a local Realtor you have the advantage of being able to access all local listings available through the Multiple Listing Service, MLS. Using a Realtor also gives you the comfort of knowing that you are working with the most qualified professional who is dedicated to you as the buyer or seller and will always be looking out for your best interest and striving to make the process of buying or selling real estate as comfortable and pleasant as possible.